We all lead very busy lives. And we can often forget to keep on top of the essential things. Looking after your data and protecting your data is vital. We don’t realise how much data we use on a daily basis and just how lost we would be without it. Always make sure that you back your work up. It is something that can often be forgotten at the end of a long day. 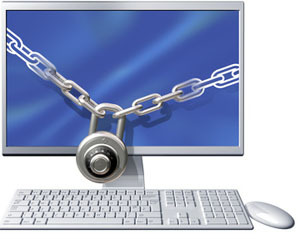 If you are running a business make sure that you have systems in place to back up all your emails and work. Even when working at home or running your household finances, make sure you back up. Make sure you change your passwords regularly. Ironically, one of the most common passwords is ‘password’. Be careful when choosing a password that it is not something that could easily be hacked. A data breach is most certainly something you can do without. Update your software and your anti-virus software. A virus could easily wipe your computer and if you haven’t backed up your data you could lose everything. Also be careful not to open any attachments that you are unsure of. Email attachements from unknown sources can sometimes be extremely harmful to your computer. Keeping your data at an offsite storage facility will be one of the best investments you ever make. If your office caught fire you could lose everything. Our offsite archive storage facilities are monitored 24/7 and have fire and theft security. When taking data home or sharing information be careful of how and whom you share it with. Make sure that your business has a policy in place for data sharing and have damage controls in place should there be a breach. For more information why not contact us today?